For other uses, see Hitachi (disambiguation). Hitachi, Ltd. (株式会社日立製作所, Kabushiki-gaisha Hitachi Seisakujō) (Japanese pronunciation: [çiꜜtatɕi]) is a Japanese multinational conglomerate company headquartered in Chiyoda, Tokyo, Japan. It is the parent company of the Hitachi Group (Hitachi Gurūpu) and forms part of the DKB Group of companies. Hitachi is a highly diversified company that operates eleven business segments: Information & Telecommunication Systems, Social Infrastructure, High Functional Materials & Components, Financial Services, Power Systems, Electronic Systems & Equipment, Automotive Systems, Railway & Urban Systems, Digital Media & Consumer Products, Construction Machinery and Other Components & Systems. Hitachi was founded in 1910 by electrical engineer Namihei Odaira in Ibaraki Prefecture. The company's first product was Japan's first 4-kilowatt (5 hp) induction motor, initially developed for use in copper mining. World War II had a significant impact on the company with many of its factories being destroyed by Allied bombing raids, and and discord after the war. Founder Odaira was removed from the company. Hitachi's reconstruction efforts after the war were hindered by a labor strike in 1950. The company saw an increase in business during the Korean War due to defense contracts offered by the American military. Meanwhile, Hitachi went public in 1949. Hitachi America, Ltd. was established in 1959. 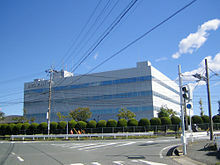 Hitachi Europe, Ltd. was established in 1982. In March 2011, Hitachi agreed to sell its hard disk drive subsidiary, HGST, to Western Digital (WD) for a combination of cash and shares worth US$4.3 billion. Due to concerns of a duopoly of WD and Seagate Technology by the EU Commission and the Federal Trade Commission, Hitachi's 3.5" HDD division was sold to Toshiba. The transaction was completed in March 2012. In January 2012, Hitachi announced it would stop producing televisions in Japan. In September 2012, Hitachi announced that it had invented a long-term data solution out of quartz glass that was capable of preserving information for millions of years. In October 2012, Hitachi agreed to acquire the United Kingdom-based nuclear energy company Horizon Nuclear Power, which plans to construct up to six nuclear power plants in the UK, from E.ON and RWE for £700 million. In November 2012, Hitachi and Mitsubishi Heavy Industries agreed to merge their thermal power generation businesses into a joint venture to be owned 65% by Mitsubishi Heavy Industries and 35% by Hitachi. The joint venture began operations in February 2014. In October 2015, Hitachi completed a deal with Johnson Controls to form a joint-venture that would takeover Hitachi's HVAC business. 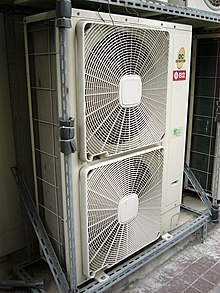 Hitachi maintained a 40% stake of the resulting company, the Johnson Controls-Hitachi Air Conditioning. In May 2016, Hitachi announced it was investing $2.8 billion into its IoT interests. In February 2017, Hitachi and Honda announced a partnership to develop, produce and sell motors for electric vehicles. On March 14, 2018, Zoomdata announced its partnership with Hitachi INS Software to help develop big data analytics market in Japan. In December 2018, Hitachi Ltd. announced it would take over ABB Ltd.'s power grid division for $6.4 billion. Note: A new product from Hitachi called Memory glass was to be introduced in 2015. It is a high density information storage medium utilizing laser etched/readable Fused quartz. Following the Fukushima Daiichi nuclear disaster in 2011 and the extended temporary closure of most Japanese nuclear plants, Hitachi's nuclear business became unprofitable and in 2016 Hitachi CEO Toshiaki Higashihara argued Japan should consider a merger of the various competing nuclear businesses. Hitachi is taking for 2016 an estimated ¥65 billion write-off in value of a SILEX technology laser uranium enrichment joint venture with General Electric. In 2019 Hitachi suspended the ABWR development by its British subsidiary Horizon Nuclear Power as it did not provide an adequate "economic rationality as a private enterprise" to proceed. Logistics: Hitachi Transport System Ltd, one of Japan's five large global logistics services providers. Hitachi Communication Technologies America provides communications products and services for the telecommunications, cable TV, utility, enterprise, industrial and other markets. Hitachi Consulting is an international management and technology consulting firm with headquarters in Dallas, Texas. It was founded in 2000 and currently employs approximately 6,500 people across the United States, Japan, the United Kingdom, the Netherlands, India, Spain, Portugal, Germany, China, Brazil and Vietnam. Hitachi Vantara is a wholly owned subsidiary of Hitachi which provides hardware, software and services to help companies manage their digital data. Its flagship products are the Virtual Storage Platform (for enterprise storage), Hitachi Unified Storage VM for large sized companies, Hitachi Unified Storage for small and mid-sized companies, Hitachi Content Platform (archiving and cloud architecture), Hitachi Command Suite (for storage management), Hitachi TrueCopy and Hitachi Universal Replicator (for remote replication), and the Hitachi NAS Platform. Since September 19, 2017, Hitachi Data Systems (HDS) has become part of Hitachi Vantara, a new company that unifies the operations of Pentaho, Hitachi Data Systems and Hitachi Insight Group. The company name "Hitachi Data Systems" (HDS) and its logo is no longer used in the market. Hitachi manufactures many types of electronic products including TVs, Camcorders, Projectors and Recording Media under its own brand name. Hitachi provides various defense related/derived products & services. Among other things, Hitachi Metals supplies materials for aircraft engines and fuselage components (e.g. landing gear), along with finished components for same and other aerospace applications. It also provides materials, components and tools for the automotive and electronics industries. Hitachi Koki manufactures many types of tools including chainsaws, drills, woodworking power tools. Some are branded Koki Tanaka. On March 1, 2016, Hitachi Koki acquired German power tools manufacturer Metabo from Chequers Capital. Hitachi Plant Technologies, Ltd., along with its subsidiaries, engages in the design, development, manufacture, sale, servicing, and execution of social and industrial infrastructure machinery, mechatronics, air-conditioning systems, industrial plants, and energy plant equipment in Asia and internationally. Hitachi Rail is the rolling stock manufacturing division of Hitachi. It and Mitsubishi Heavy Industries agreed to cooperate in the field of international intra-city railway systems in 2010. Hitachi markets a general-purpose train known as the "A-train", which uses double-skin, friction-stir-welded aluminium body construction. The A-train concept can be customised to form different types of trains, ranging from high-capacity commuter and metro trains (as in the automated 3000 series train for the Nanakuma Line of the Fukuoka City Subway) to limited express (as in the E257 series jointly produced with Tokyu Corporation) and high-speed trains (as in the Class 395 trains for Southeastern in the UK). They have made such trains for domestic and international operators alike. Among its most significant orders was the winning tender for the UK Department for Transport's Intercity Express Programme in June 2008. Hitachi's many products include the designing and manufacturing of many Shinkansen models, including the N700 Series Shinkansen, which has been exported as the THSR 700T for Taiwan High Speed Rail. The company also markets a driverless metro system developed by Hitachi Rail Italy, pioneered on the Copenhagen Metro, and straddle beam monorail technology, known as the Hitachi Monorail, which form the basis of the trains operating on the world's longest monorail system, currently part of the Chongqing Rail Transit network. On February 24, 2015, Hitachi agreed to purchase the Italian rolling stock manufacturer AnsaldoBreda and acquire Finmeccanica's stake in Ansaldo STS, the railway signaling division of Finmeccanica The purchase was completed later that year, at which point the company was renamed as Hitachi Rail Italy. Since then, Hitachi has obtained a majority stake in Ansaldo STS. Hitachi Solutions America is a consulting firm and systems integrator focusing primarily on Microsoft Dynamics. The firm utilizes AX and CRM from the Dynamics family to provide customers with a broad base of solutions. The company is international, with subsidiaries residing in the United Kingdom, Canada, Philippines, Thailand, Japan and India. Hitachi Solutions America acquired Ignify – another leading Microsoft Dynamics Solution providers in December 2015. Hitachi Solutions has about 2000 Microsoft Dynamics consultants worldwide after the acquisition of Ignify. Hitachi Works is the oldest member of the Hitachi Group and consists of three factories: Kaigan Works, Yamate Works, and Rinkai Works. Yamate Works, the oldest of the three factories, was founded in 1910 by Namihei Odaira as an electrical equipment repair and manufacturing facility. This facility was named Hitachi, after the Hitachi Mine near Hitachi, Ibaraki, and is regarded as the ancestral home of Hitachi, Ltd. Many management trainees intern at Hitachi Works before being permanently assigned to other Hitachi divisions. Senior management personnel are often participants in rotations at Hitachi Works for a few years as their career develops towards eventual head office stature. As a result, many of the senior managers of Hitachi Ltd have passed through Hitachi Works. Spin-off entities from Hitachi Works include Hitachi Cable (1956) and Hitachi Canadian Industries (1988). Hitachi Global Storage Technologies (Hitachi GST) manufactures computer hard drives. There are 3 main ranges: Hitachi Travelstar, Hitachi Deskstar, and Hitachi Ultrastar. On March 7, 2011 Hitachi Global Storage Technologies was purchased by Western Digital Corporation for $3.5 billion in cash and $750 million in Western Digital common stock. Hitachi Printing Systems was established in 1980 and was acquired by Ricoh in 2004, becoming Ricoh Printing Systems, Ltd.
Hitachi had a joint venture with Kerala public sector company TELK from 1963 to 1989 for the production of electrical equipment. In collaboration with Hitachi, TELK was the first company to manufacture 400kV transformers in India. TELK transformers are well known for their quality and are in great demand for the Indian power system. In August 2011, it was announced that Hitachi would donate an electron microscope to each of five universities in Indonesia (the University of North Sumatra in Medan, the Indonesian Christian University in Jakarta, Padjadjaran University in Bandung, General Soedirman University in Purwokerto and Muhammadiyah University in Malang). ^ a b c d e "Hitachi Financial Statements" (PDF). Hitachi. ^ "Corporate Profile". Retrieved 8 October 2014. ^ Our Businesses : Hitachi Global. Hitachi.com. Retrieved on 2013-08-16. ^ "Global 500 2014". Retrieved 2015-04-29. ^ "Little Known Facts About Hitachi". Retrieved 8 October 2014. ^ III, Kenneth E. Hendrickson (2014-11-25). The Encyclopedia of the Industrial Revolution in World History. Rowman & Littlefield. ISBN 9780810888883. ^ Jr, Alfred D. Chandler; Hikino, Takashi; Nordenflycht, Andrew Von (2005). Inventing the Electronic Century. Harvard University Press. ISBN 9780674018051. ^ "History (1910–1959) : Hitachi Global". Hitachi.com. 2010-06-29. Retrieved 2013-01-07. ^ Fransman, Martin; Fransman, Professor of Economics and Director of the Institute for Japanese-European Technology Studies (Jets) Martin (1995). Japan's Computer and Communications Industry: The Evolution of Industrial Giants and Global Competitiveness. Oxford University Press. ISBN 9780198233336. ^ "History (1910–1959)". Hitachi. Retrieved 11 November 2012. ^ "History (1980–1999)". Hitachi. Archived from the original on 7 November 2012. Retrieved 11 November 2012. ^ "WD to Buy Hitachi's Drive Business for $4.3 Billion". PC Magazine. 7 March 2011. Retrieved 11 November 2012. ^ "Western Digital Closes Hitachi GST Acquisition, to Operate Separate Subsidiaries". Network World. 2012-03-09. Retrieved 2014-09-01. ^ Television, Marc Chacksfield 2012-01-23T13:26:00 22Z. "Hitachi to stop making TVs in 2012". TechRadar. Retrieved 2019-01-15. ^ Welch, Chris (2012-09-27). "Hitachi invents quartz glass storage capable of preserving data for millions of years". The Verge. Retrieved 2019-01-15. ^ "Hitachi buys UK nuclear project from E.On and RWE". BBC News. 30 October 2012. Retrieved 30 October 2012. ^ "Hitachi wins bid to build up to six UK nuclear plants". Reuters. 30 October 2012. Retrieved 30 October 2012. ^ "Hitachi and Mitsubishi Heavy shares rise after merger". BBC News. 30 November 2012. Retrieved 2 December 2012. ^ "MHI, Hitachi plan to merge thermal power units to boost overseas sales". The Japan Times. 30 November 2012. Retrieved 2 December 2012. ^ "News Releases". Retrieved 8 October 2014. ^ Lockwood, Denise (3 March 2014). "An inside look at Johnson Controls joint venture with Hitachi". ^ "Hitachi to invest $2.8B in IoT: launches new unit and platform". ReadWrite. 2016-05-11. Retrieved 2019-01-15. ^ "Honda, Hitachi Automotive to form EV motor joint venture". Reuters. 2017-02-07. Retrieved 2019-01-15. ^ GlobeNewsWire. "Hitachi INS Software and Zoomdata Partner to Develop Big Data Analytics Market in Japan." March 14, 2018. Retrieved March 16, 2018. ^ "Bloomberg - Are you a robot?". www.bloomberg.com. Retrieved 2019-03-29. ^ "Hitachi targets 2015 for glass-based data storage that lasts 100 million years". pcworld.com. 2012-09-25. Retrieved 2016-06-02. ^ "Japan's nuclear companies look to restructuring". Nuclear Engineering International. 9 November 2016. Retrieved 15 February 2017. ^ Patel, Sonal (1 June 2016). "GE-Hitachi Exits Nuclear Laser-Based Enrichment Venture". POWER. Retrieved 1 April 2017. ^ Yasuhara, Akiko (31 March 2017). "Toshiba's U.S. unit bankruptcy dims Japan's nuclear ambitions". The Japan Times. Retrieved 1 April 2017. ^ "UK unveils financial terms it offered Hitachi". World Nuclear News. 17 January 2019. Retrieved 18 January 2019. 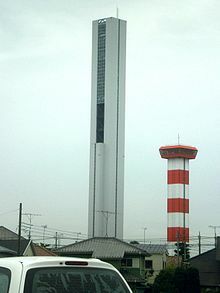 ^ "G1TOWER : About Us : Hitachi Global". Hitachi, Ltd. Retrieved 2014-08-14. ^ "Company Overview of Hitachi Communication Technologies America, Inc". bloomberg.com. Retrieved 2016-06-02. ^ "Hitachi Certifications". Retrieved 8 October 2014. ^ a b "Hitachi Transportation Systems website". Retrieved 8 October 2014. ^ "Hitachi Launches Bid For Intercity Express Programme". 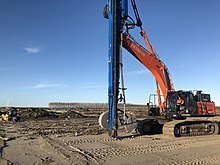 Hitachi-Rail.com. 2008-06-30. Archived from the original on 2012-03-10. Retrieved 2013-01-07. ^ "Hitachi agrees to buy Ansaldo STS and AnsaldoBreda". Railway Gazette. 24 February 2015. Retrieved 15 April 2017. ^ "Hitachi completes Ansaldo deal". Railway Gazette. 2 November 2015. Retrieved 15 April 2017. ^ "Hitachi buys shares in Ansaldo STS to raise stake to over 50 percent". Reuters. 24 March 2016. Retrieved 15 April 2017. ^ PRWEB. "Hitachi Solutions Acquires Leading Microsoft Dynamics Solution Provider Ignify." December 14, 2015. Retrieved Jul 18, 2017. ^ Murph, Darren (2011-03-07). "Western Digital drops $4.3 billion to acquire Hitachi GST, enter staring contest with Seagate". Engadget.com. Retrieved 2013-01-07. ^ "Hitachi to grant electron microscopes". The Jakarta Post. 5 August 2011. Retrieved 11 November 2012.